The record-setting senior will compete in the 60-meter dash and the long jump at the national meet this weekend in New York. Kate Hall has had many goals through her high school career. Only one remains: to become a national champion. At the New Balance High School National Track and Field Championship this weekend in New York City, Hall will attempt to do just that. Last year, Hall finished second in the long jump (19 feet, 11 1/2 inches) and ninth in the 60-meter dash, and she’ll compete in both events again. Kate Hall says, “The only goal I have left this season is to become a national champion in the long jump, or any event. That definitely is the biggest goal I’ve been thinking about all season." The Lake Region senior has led the nation in the long jump all winter – including a winning jump of 20-6 at the New England championships – and has ranked in the top five nationally in the 55-meter dash. “I’m pretty sure (Arantxa) King is the only jumper in the New England states beyond Hall to go beyond 20 feet (in high school),” said Steve Vaitones, managing director for USA Track and Field New England. Hall broke King’s New England long jump record (20-23/4 in 2006) in Boston on Feb. 27. She also broke Monique Tubbs’ New England record in the 55 (6.96 seconds in 1999) with a winning time of 6.95. King and Tubbs went on to bigger success in track and field. King achieved All-America status at Stanford and became a two-time Olympian. Tubbs was an NCAA Division I champion at 60 meters while at the University of Jacksonville. Hall is trying to join a small group of Maine high schoolers who have won national titles at either the indoor or outdoor nationals, including Greely shot putter Becky O’Brien and Brunswick pole vaulter David Slovenski, who were outdoor champs in 2008. Maine also has produced several national champions in the racewalk. Several other Maine athletes are expected to compete at the national meet, including Thornton Academy senior Tori Daigle, the Class A state champion in the long jump, triple jump and the 55-meter hurdles who finished third in the long jump at the New England meet. Daigle will compete in the long jump and triple jump. 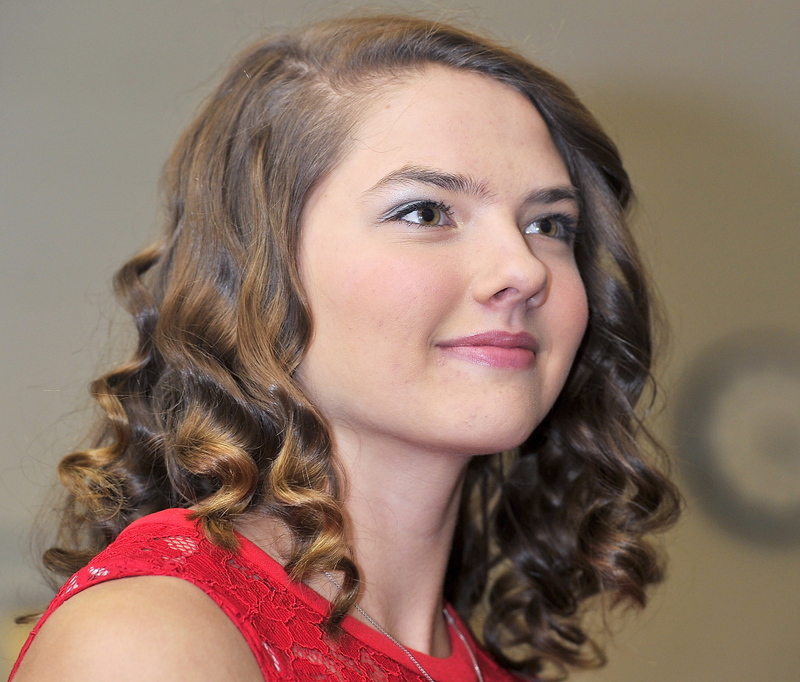 Lewiston sophomore Kayla Allen, the outdoor Class A state champion in the 1,600-meter racewalk, also is expected to compete in the 1-mile racewalk. Cheverus senior Jake Dixon, the Class A runner-up in the 200, will compete in that event. Edward Little junior Spencer Dunn is in the 1-mile racewalk. 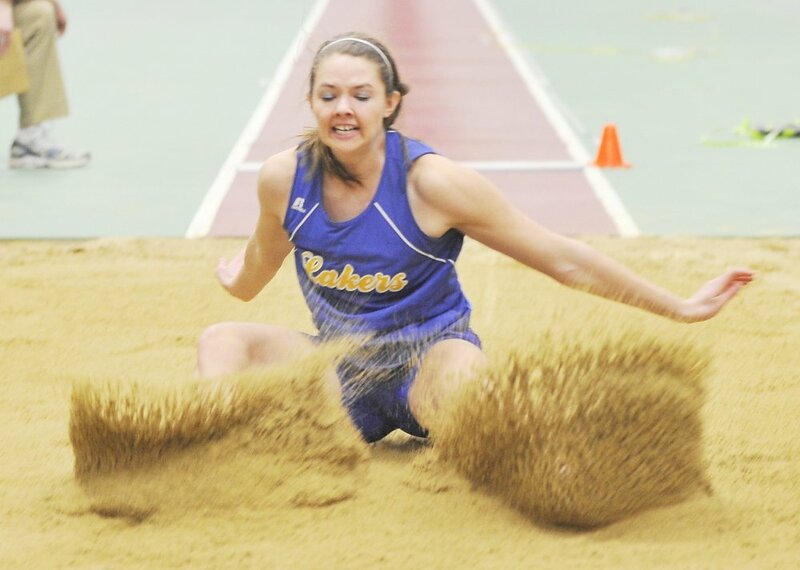 Hall swept all three of her events (55, 200 and long jump) at the Class B state championships Feb. 16, rewriting two state records. At the New Englands, she was behind the pack until the final 10 meters of the 55. She was astounded when she looked at the timing clock and saw a New England record and the time she had chased all season: 6.95. “Because I got a late start, I know I can go even faster,” she said. The record gave her so much confidence that she went to the long jump and soared past 20 feet for only the second time in her high school career. Then in the finals, Hall improved to 20-6, smashing the New England record by more than 3 inches. The long jump record at the nationals is 20-71/4. “The only goal I have left this season is to become a national champion in the long jump, or any event. That definitely is the biggest goal I’ve been thinking about all season,” she said.